QuiltNSW proudly presents two guest exhibitors at the Sydney Quilt Show 2017- Carolyn Sullivan and Rhonda Pearce. 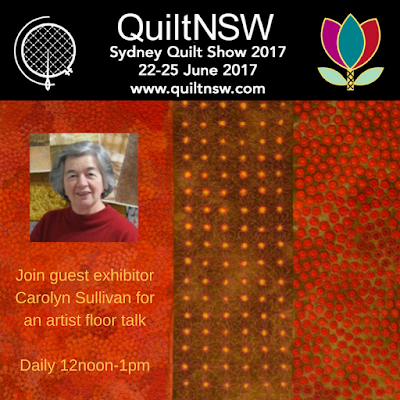 Carolyn will present an artist floor talk each day during the show from 12noon - 1pm. Hand stitching is what she loves to do. Indian kanthas and the tradition of close, straight stitches have formed the majority of her work, however, she is also interested in finding other ways of stitching that expresses what she sees. She covers large expanses of her own plant dyed cloth with stitching that describes the vastness of the Australian landscape. Follow Carolyn on her textile artist Facebook page. 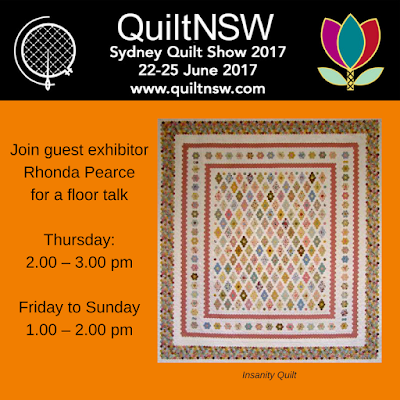 Rhonda will present her floor talk from 2-3pm on Thursday and then 1-2pm on Friday- Sunday. 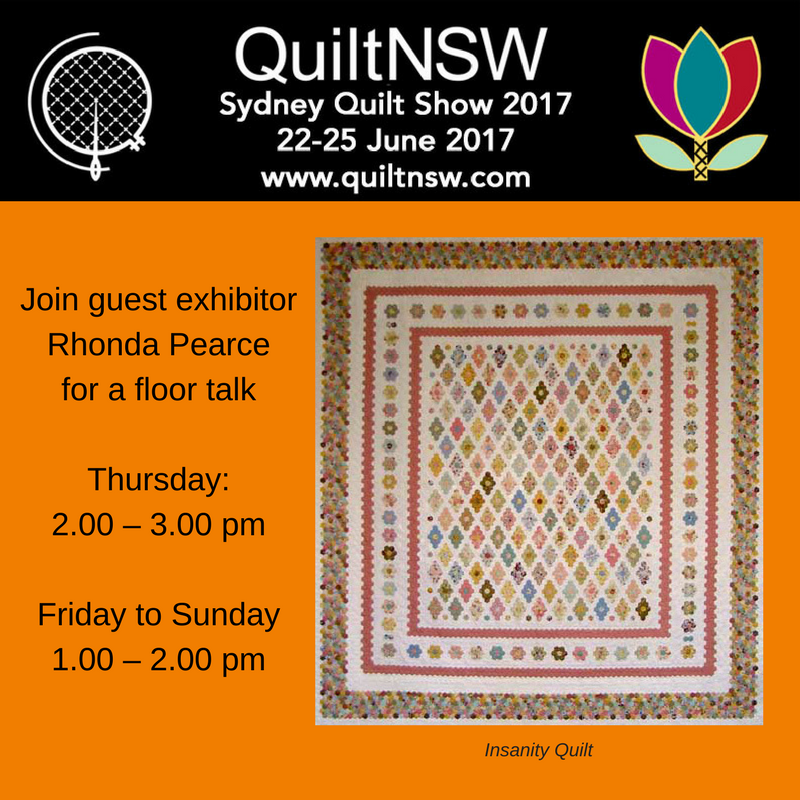 The special exhibit includes her award-winning hexagon quilt Insanity that has its very own Insanity Quilt Facebook Group.